Grace Sarver of West Seattle keeps her eye on the ball in a crowd. 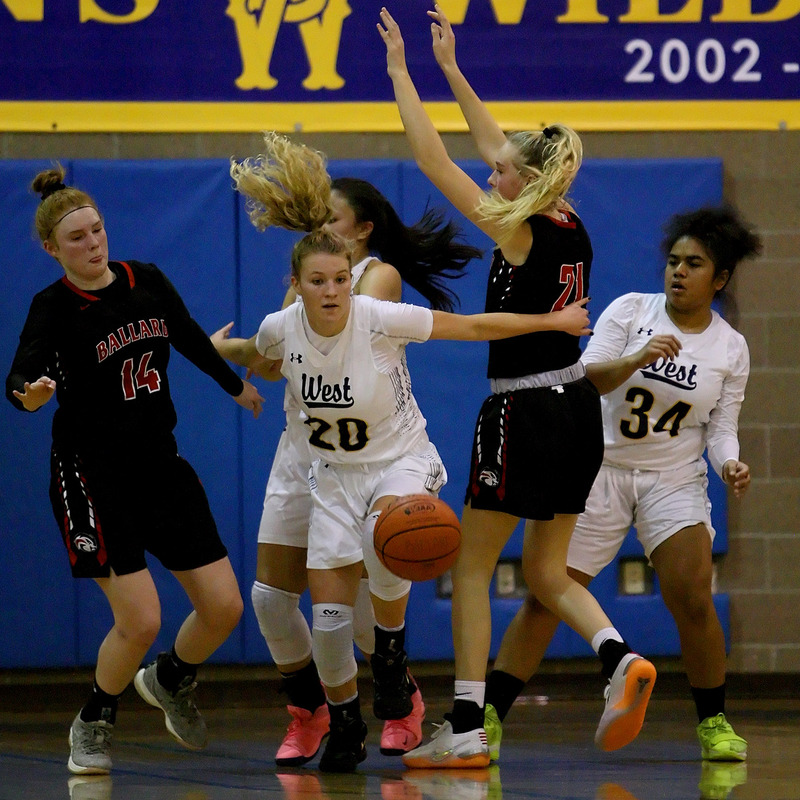 The Wildcats were still able to edge the Ballard Beavers, 58-53, in the Metro League season opener for both teams. The auxiliary lights kicked in to help the occupants to still see around but were not enough to keep the game going, providing a prolonged break. Ballard returns to action Wednesday, hosting Garfield at 7:30 p.m. The Beavers visit Holy Names at the same time Friday. West Seattle has a bye Wednesday before getting a 7 p.m. visit from Lakeside this Friday.